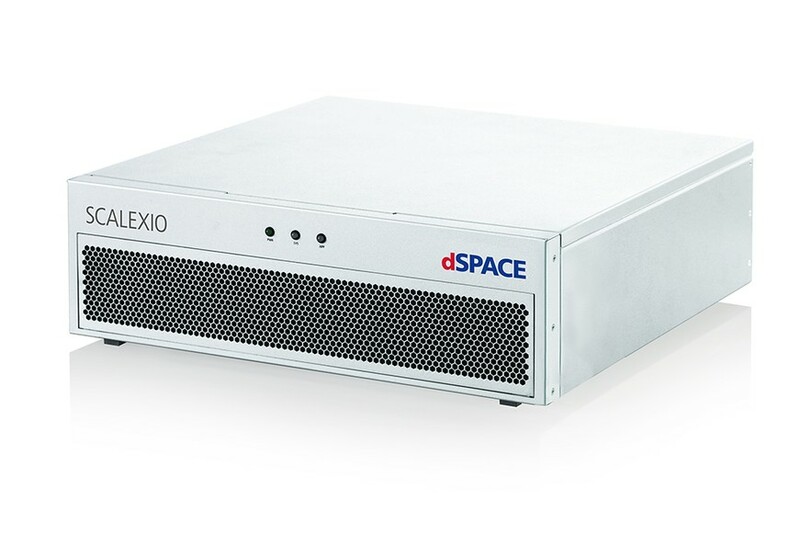 Wixom, Michigan, February 2, 2017: dSPACE has introduced an additional Processing Unit for SCALEXIO hardware-in-the-loop (HIL) test systems. Equipped with an octa-core Intel Xeon Processor E5, the new Processing Unit is ideal for the parallel execution of complex and computationally intensive simulation models. This enables engineers to use high-fidelity, physically realistic models, increases model accuracy, and makes HIL simulations more realistic. With the octa-core variant, dSPACE extends the SCALEXIO Processing Unit product line with a second variant to address the variety of customers’ application scenarios. The new Processing Unit with 8 cores is especially recommended for customers who often have to compute very large simulation models in parallel, such as those for vehicle dynamics simulation with detailed chassis and tire models. For use cases that require a strong computation performance of each individual core, dSPACE continues to provide the quad-core Processing Unit with an Intel Xeon Processor E3 and equally high performance. Both variants, quad- and octa-core, of the SCALEXIO Processing Unit support multiprocessor applications where multiple Processing Units are interconnected. The two variants can also be used together in a multiprocessor network. SCALEXIO is a modular real-time system used for hardware-in-the-loop (HIL) testing. During HIL simulation, SCALEXIO allows for a highly precise real-time simulation of computation-intensive models and supports a high number of I/O functions as well as current bus and network systems such as CAN, CAN FD, LIN, FlexRay, and Ethernet. The I/O channels are specified with the central configuration software ConfigurationDesk. Using the dSPACE IOCNET technology makes it easy to extend the system and set up decentralized systems. SCALEXIO can also be coupled with existing dSPACE HIL simulators. dSPACE develops and distributes integrated hardware and software tools for developing and testing electronic control units and mechatronic controls. The application areas for dSPACE systems are primarily in the automotive industry, but also in drives technology, aerospace, and other industrial sectors. The company's customer base includes virtually all major vehicle manufacturers and suppliers. With more than 1,300 employees worldwide, dSPACE is located in Paderborn, Germany; has three project centers in Germany; and serves customers through local dSPACE companies in the USA, the UK, France, Japan, and China.